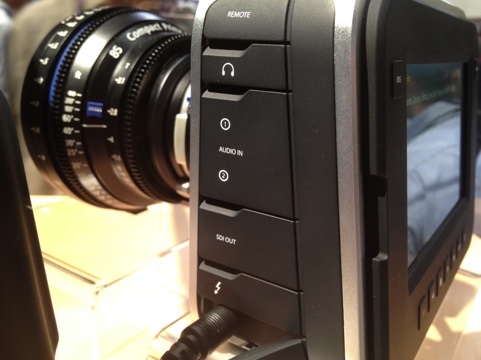 The Black Magic Design cinema camera is creating a huge buzz at NAB thanks to its low price of $2995. 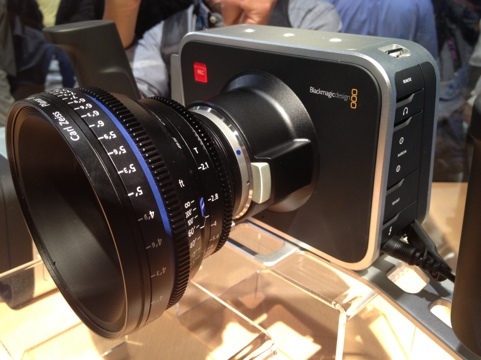 It has only a Canon EF mount (not Nikon as erroneously put out in an early press release.) Mount is not interchangeable. Sensor is roughly Micro 4/3 size so your lens is doubled in focal length. Has a 90 minute battery and a 12 volt input. 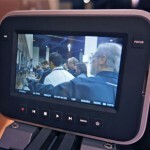 Shoots avid dnxhd, prores and raw. It’s cool but not a journalist’s camera.